Mr. & Mrs. James Bond. 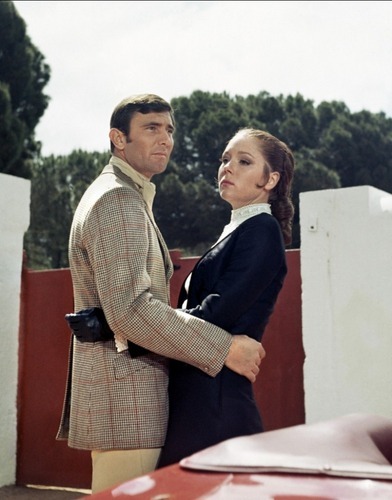 George Lazenby and Diana Rigg as Mr. & Mrs. James Bond in the 007 film 'On Her Majesty's Secret Service'. HD Wallpaper and background images in the Diana Rigg club tagged: diana rigg actress george lazenby mr. + mrs. james bond tracy on her majesty's secret service ohmss 007 film www.toutlecine.com.